The Triangulum Galaxy via The VLT Survey Telescope (VST) at ESO’s Paranal Observatory in Chile. 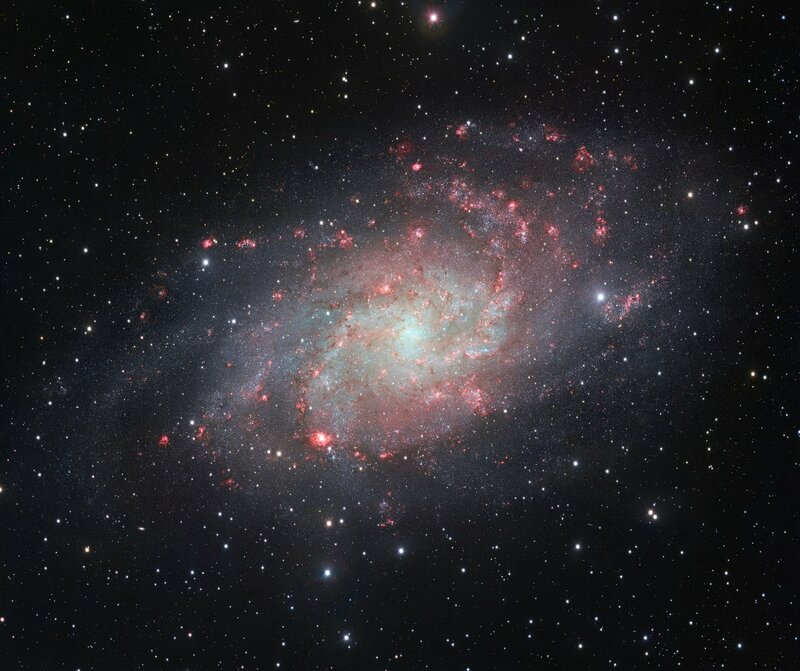 This beautifully detailed image of the galaxy Messier 33. This nearby spiral, the second closest large galaxy to our own galaxy, the Milky Way, is packed with bright star clusters, and clouds of gas and dust. This picture is amongst the most detailed wide-field views of this object ever taken and shows the many glowing red gas clouds in the spiral arms with particular clarity.